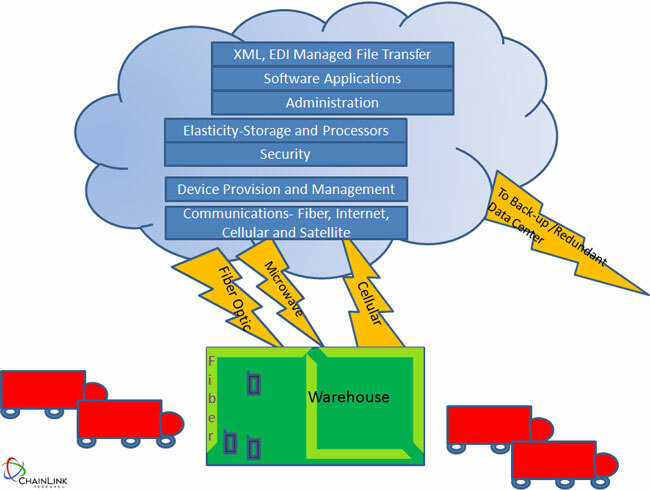 The real world of successfully operating Warehouse solutions in the cloud has many technical and business components . . . Cloud solutions may have taken off; but many company operations do not exist just in the cyber world. They exist on the ground, often in remote facilities with ‘low-tech’ environments. Not all cloud software providers understand, nor are they ready for, the nitty-gritty world of a warehouse in the Peruvian country-side; or in Chili with poor, or maybe no internet connections near the warehouse; or in India, where there are power outages. Maybe you’re closer to home in Missoula, Montana. It is one thing to promote the value of the cloud; it’s another thing to make it work in difficult environments. And today, being physically remote does not mean that these are not high performance, high value operations. They often are placed right on the road, on the way to important markets where your customers reside. Retail and Just-in-Time manufacturing support provide excellent case studies by which to understand the performance needs of a Warehouse Management System (WMS). What Goes On in Real Time? In retail, every day, at any time 7 x 24, orders are coming in and going out from your shipping docks. Hundreds of trucks, thousands of pallets, tens of thousands of cartons, and possibly hundreds of thousands of items can move through a big warehouse each day. And where maintaining freshness is the objective, such as for a food distributor, with delays equaling lost dollars, accurate split-second scanning is a must. In massive caverns of warehouses, with their mazes of shelves and locations and myriad transports: forklifts, bicycles, conveyors, robots, and on foot, the ceaseless activities of putting away and taking out go on. The systems need to keep up with put-aways since an order can come at any time to pick, pack and ship. These time-critical activities can make the difference between making your ‘dock reservation’ with your carrier or not, and making or losing money. And if the carrier is your customer’s own consolidator, missing your time slot means fines. Further, with today’s material-handling equipment, cartons and bins may be flying by at up to 600 feet per minute. These systems may need to read a label, query the system, and decide on which conveyor to divert the product, all in milliseconds. There’s no room for any delay in the system’s response. And one more, and not a trivial point: from the customer’s perspective, did all this activity create a ‘perfect order’? Did it contain all items (fill rate)? Were they correct, packaged and labeled (package compliance), and fresh when the order arrived? If the answer is yes—you get paid, and probably, promptly. If not, you may be mired in months of dispute discussions with the customer, leading to fines that eat away at your already-thin margins, or you may not be paid at all. Just-in-Time manufacturing also requires reliable, fast-speed communication. Say you are an electronics supplier to one of the big OEMs. Once you receive an order you may have a two-hour window in which to assemble, pack, ship, and ensure arrival to the OEM’s assembly-plant door. You can’t afford to miss that order signal from your customer. And you need to send your confirmation with split-second timing in order to complete the transaction. Warehouse operators do worry about off-site, third-party systems, or spotty internet service disrupting these valuable transactions. If you are an ecommerce fulfillment house—order today, receive tomorrow—you also have a very narrow window in which to meet your UPS or FedEx schedule in order to make the ‘sorter’ at their facilities for next-day delivery. Based on these scenarios, we can see that warehouse operational performance is important. So how does a remote organization and server actually enable and enhance real-time, split-second success? One of cloud’s benefits is to obviate corporate IT operational support and hardware management, and have the cloud provider or hosting company maintain it for you. Cloud’s users remove the need to understand services, virtual computing, managing uptimes, failovers and all the technical issues associated with support. In addition, users gain elasticity, which is the ability to grow and shrink with business cycles, such as retail’s holiday seasons where huge demand and high transaction counts are the norm versus the number of off-season transactions. Also, users have software version release, upgrades, and compatibility issues removed. These are extremely costly to deal with, not just in terms of software costs, but also in terms of the disruptions and risks that often occur with change. As the years go by, you flow with a moderately steady stream of changes (instead of procrastinating about change and facing highly disruptive and complex projects). The hardware and software, as well as the support and monitoring services that you might normally have to purchase, manage, provide education for, and cope with all exist in the cloud. Users today connect via mobile platforms while they travel. But what happens in remote locations with bad cell connections, spotty or no internet coverage? It turns out that a lot of warehouses are located in just such locations where real estate is cheap. And cheap real estate is not on Fifth Avenue in New York City, The Ginza in Tokyo, or Florida Street in Buenos Aires. So solutions providers need to understand their customer’s realities and provide much more than software on a remote server to make the SaaS system perform. So What Does It Really Take to Connect the Ground to the Cloud? WMS, as we previously stated, really taxes the concept of cloud services where traditionally, users with a browser can just connect and often begin using systems on demand. Providers like LogFire told us that it's all about what’s happening on the ground at the site, according to the kind of conditions you find there. Getting WMS to work in difficult locations requires several things of solution providers. First, they must assess the business’ technical performance requirements. Second, they have to assess the obstacles—in the business, the facilities and in the environment—that must be overcome to achieve split-second performance. 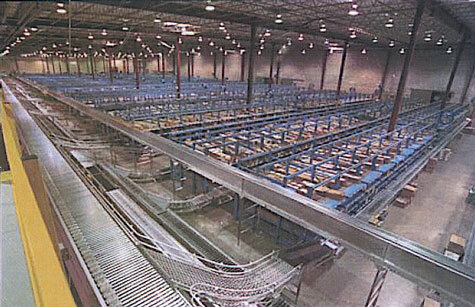 Most WMS providers are used to doing site surveys and assessing the RF and wireless requirements within the warehouse. Big cavernous warehouses with lots of metal (shelves and conveyors) and equipment create electromagnetic/RF interference (radio frequency reflection) which creates real challenges1 to high performance communications within the building. This needs to be planned for within the building with the right kind of wireless grid and scanning equipment tuned to the specific environment. But what about communications into the building, from the cloud to the ground, if you will? LogFire has had to deal with their customers’ internal warehouse operations and external communications with their customers’ trading partners. As part of its site survey, LogFire employs a battery of tools to test the bandwidth and latency (maximum time delay) of the existing services at every site they serve. Based on the type of operation and equipment, the necessary performance parameters are set. Latency can be the key issue for high-speed equipment. If the service is not adequate, you won’t ever be able to communicate effectively with the software. In one instance, LogFire has even gone to the extent of installing a dedicated fiber optic line to the facility, as they did for one client in rural Peru. They ensured that there was redundant service using a different physical link (in this case, a Microwave link) to provide high availability in case the primary service goes down. It required putting in place the required Quality of Service (QoS) guarantees and Service Level Agreements (SLAs) for the end-to-end network between the warehouse site(s) and the SaaS data centers. Redundancy and QoS are needed to ensure uninterrupted operations as well as ensure that the SaaS system can operate the high speed equipment in the warehouse without errors (i.e. missing the sub-second response-time window required to properly operate diverters and other high-speed material handling equipment). Fiber optic is the fastest—but it’s costly. However, its benefits include avoiding the outages that can disrupt internet access to the facilities, as well as enhancing the operational performance within the facility. Redundant servers, redundant data storage, nearly instant failover mechanisms for continuous operation if any single component fails. Back-up and recovery—hierarchical storage management and automated data backups (in case something gets corrupted and you need to return to an earlier state). We want the cloud. It removes the disruptive aspects of software management and the need for a staff of applications experts. But clouds are just in the sky unless we can connect to the ground. So, it’s not just using cloud services that counts. To be successful in Cloud WMS, getting the cloud to the ground and back also counts. 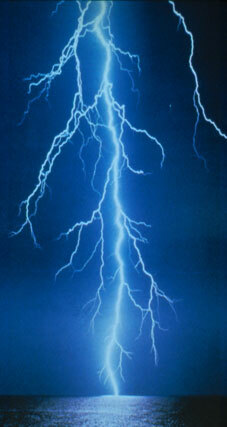 3 In a subsequent article we will talk about the security elements of cloud.